Over the past decade, the number of small, independent cheese producers in the United States has skyrocketed. Chip Brantley, a former cheesemaker and now lecturer in journalism at the University of Alabama, will give a brief history of the American cheese business and talk about the ins and outs of making cheese. Chip has written for many publications, including Gourmet, Southern Living, and the Oxford American. He is the author of The Perfect Fruit: Good Breeding, Bad Seeds and the Hunt for the Elusive Pluot. Wednesday, September 7, noon. The story of the Birmingham Public Library is the story of Birmingham. In fact, BPL is the oldest cultural institution in the city, born only fifteen years after the city’s founding. It grew along with Birmingham and reflects the city’s history in its buildings, collection, and people. You might be asking yourself, who is this handsome devil leaning over to look at me? This is John Herbert Phillips, “a tall man of Welsh descent from Kentucky,” and the superintendent of schools beginning in the early 1880s. It was he who formed what would become BPL. What this means is that we are living in the exact time, one hundred and twenty-five years later, when the idea to build a library in a booming, mining town, came to fruition. Birmingham, whose population had risen from 3,000 to 25,000 in only a few years, had decided to provide lifelong education and cultural enlightenment for its children and citizenry. Of course, what you cannot see is the chewing gum that the young scholars stuck on the underside of the desks. In 1887, Superintendent Phillips suggested that if the Board supported the library and the city of Birmingham helped fund its book purchases that the library could, in turn, reach “respectable proportions.” Indeed, BPL, is now the largest library system in the state, with 19 locations serving every corner of the city. Unfortunately, for two years running, the materials budget has been cut by more than $600,000 (roughly half). BPL has tightened up its proverbial belt, and we believe, as Gloria Gaynor once claimed, that we will survive. However, if at no other time in our 125-year history, now is the time that we need your support. Our materials budget has been, in reality, decimated. This year we’re launching the 2011 BPL Donation Campaign, in celebration of our 125th anniversary. Your contribution will allow us to expand programming throughout the system, provide access to technology, and purchase books, CDs, audiobooks, DVDs, and eBooks for the more than one million visitors we serve each year. We’re asking you to join us by investing for the benefit of future generations as well as the current one. Please help us keep our shelves full of the rich materials we have provided for 125 years. Donate online, in person at any library branch, or by sending your gift to the Birmingham Public Library, 2100 Park Place, Birmingham, AL 35203. Please make checks payable to the Birmingham Public Library Campaign. Thank you for investing in us! Throughout the coming months, we will post interesting tidbits from the Library’s early history. The Friends bookstore reopened the last week in July after our "extreme" makeover with all new stock...and we continue to fill our shelves with patron-donated and library-released used books, media, and other appropriate stuff. Every day we get new stock. Just yesterday we got a donated collection of romance novels--hardbacks and paperbacks--filling a whole bookcart. Earlier in the week we got a collection of science fiction & fantasy books that are going fast. For the next week we're continuing a bargain sale of teen hardbacks ($.50 each) and paperbacks (2 for $.25). And we have new Eat, Drink, Read, Write festival t-shirts, as well as supplies often needed by library patrons, such as writing pads, pens, markers, and even flash drives. Our hours are Mon.-Sat. 9:30 to 5:30 and Sun. 2:30-5:30. COME AND SHOP WITH US, and DONATE your used books and media as well!!! From idea to conclusion, author and poet C.L. 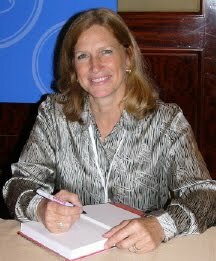 Threatt will teach the do's and don'ts of publishing on your own. 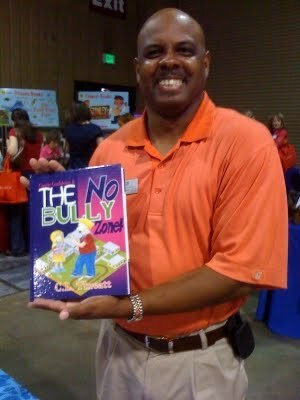 The author of Different, But the Same and other books, he will have copies of his children's books for sale and signing after the program. Wednesday, August 31, noon. 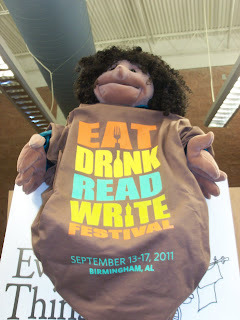 The Eat Drink Read Write Shirts Are Here!!! You, too, can own one of these shirts for a cool, 15 bones ($15). 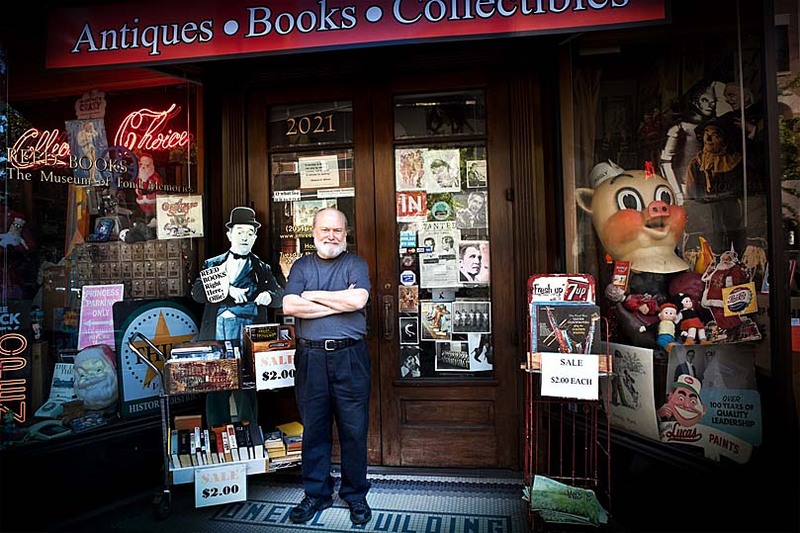 Just visit the Friends Bookstore at Central (2100 Park Place, 35203). The Bookstore has new books and videos available as well. 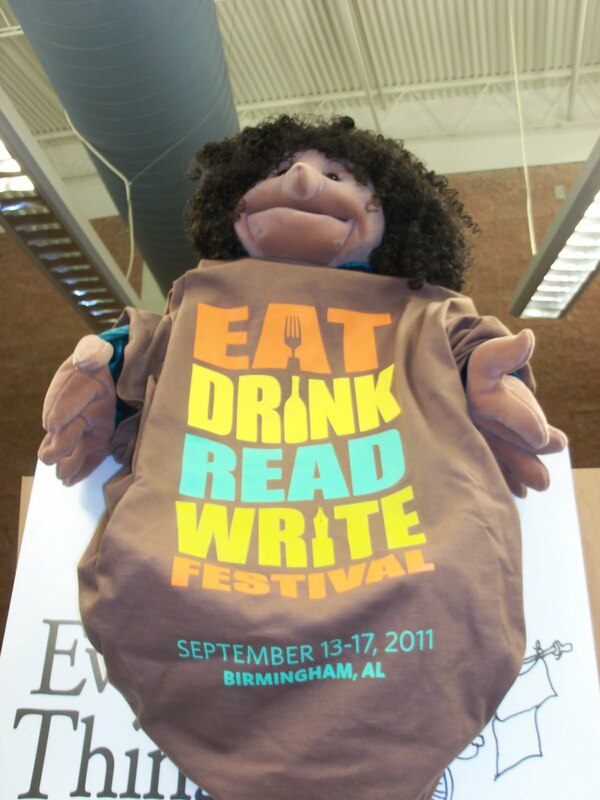 We're less than a month away from the Eat Drink Read Write Festival and we can hardly wait. It's on like a ham bone! Come buy a shirt and we'll see you September 13-17! 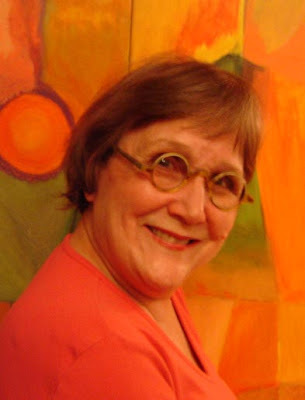 Children's author Jo S. Kittinger will provide an overview of various genres and opportunities within the vast arena of children's publishing. The author of Rosa's Bus and other books, she will have copies of her children's books for sale and signing after the program. Wednesday, August 24, noon. If you’re more inclined to enjoy graphic novels of the Everyman rather than Superman, then you might want to check out some books by Daniel Clowes. Clowes is responsible for superbly getting it right about pseudo-intellectual, angsty teenagers faced with graduating into adulthood in his 1998 graphic novel, Ghost World. The 2001 movie stars Thora Birch, Scarlett Johansson, and Steve Buscemi. 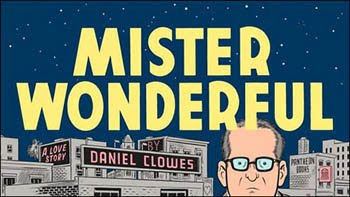 Clowes’ newest graphic novel is Mister Wonderful, a woe-is-me tale that takes place the evening of a blind date between a broken middle-aged man and woman who have little self-esteem and a lot of baggage. Before becoming a book, Mister Wonderful was a serialized comic strip in the New York Times Magazine. Marshall had a “shockingly happy” childhood, but adulthood hasn’t been so kind to him. His wife slept around with all but one of his friends—the “but one” being the man who set him up on the date—so in the end he had neither wife nor friends. After a six-year dry spell he took up with a crank addict who robbed him blind, and now here he is, waiting for the woman of his dreams who is 49 minutes late. What's interesting about dates arranged by friends is that some of the inspiration that spurs a couple on to see the date through comes from knowing that there must be a good reason that your friends thought you would be perfect for one another. There is an interlude in the middle of Mister Wonderful where we humorously see that's not the case for Tim (Marshall's friend) and his wife, Yuki (Natalie's friend). Marshall is so used to living inside his own head that his thought boxes have overtaken his life, even covering up the voice of his Ms. Right. The evening unfolds about how you’d think it would. If you're feeling low and in the mood for some schadenfreude, then Mister Wonderful just might cheer you up. The Watercolor Society of Alabama hosts its annual Members’ Showcase at the Central Library in the Fourth Floor Gallery. The opening reception and awards presentation will be held on Sunday, September 18, from 2:30 to 4:00 p.m. in the Fourth Floor Gallery. 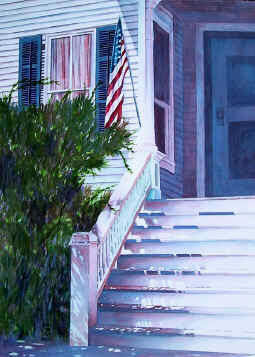 Approximately 50 aqua media paintings executed by watercolorists from across Alabama will be selected for the exhibit that will run through October 27, 2011. The public is cordially invited to attend. Wayne Spradley, resident of Pell City, Alabama, and well-known watercolor artist and instructor, is the juror for this year’s Showcase. Spradley has won over 300 awards nationally, including Arts for the Parks, National Park Academy, and the Alabama Duck Stamp. His works hang at the University of Alabama, Birmingham, the Alabama State House and Senate floors, and in the collections of former Presidents Carter, Reagan, and Bush, as well as in corporate, private, and museum collections. Jaceena Shepard, Town Creek, Alabama, is the current WSA President, and Tora Johnson, Mountain Brook, is the President-elect/Members’ Showcase Chairperson. The Birmingham Public Library (BPL) hosts another Bards & Brews, the popular monthly poetry slam/beer tasting at the Central Library emceed by poetry slam events director Brian “Voice Porter” Hawkins. September's Bards & Brews will be on Friday the 16th, NOT the first Friday, and will be part of the line-up for the first annual Eat Drink Read Write Festival http://www.bplonline.org/eatdrinkfest. The September event will feature the winners of past Bards & Brews slams. 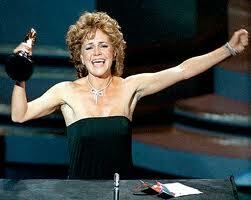 The first place winner receives $100, second place winner $75, and third place winner $50. We're also looking for warm-up poets to perform/read original poems related to food and drink. Free the Hops (FTH) will provide information about craft beers. Back Forty Beer Company and Lazy Magnolia Brewing Company will provide beer for sampling. Continental Bakery/Chez Lulu will donate refreshments. You must be 18 years or older to be admitted and 21 years or older to be served. IDs will be checked. Live music at 6:30 p.m. Call time is 7:00 p.m. Check out the Bards & Brews page on Facebook for more information. This program is made possible by grants from the Alabama State Council on the Arts and the National Endowment for the Arts. Word up, y’all! An hour with Alabama author Jim Reed, whose newly-published writers' workbook is designed to hone the writing skills of beginners and professionals alike. Jim Reed is the author of Dad's Tweed Coat and other books. He will have copies of How to Become Your Own Book for sale and signing after the program. Wednesday, August 17, noon. The Friends Bookstore has new stock!!! As Tressa recently and graciously wrote, The Friends Bookstore, located on the second floor of the Central Library, has re-opened, after completing an "Extreme Bookstore Makeover." Not only did we paint the walls and redo the cabinets and the layout of the joint, we also removed old books that weren't selling and added books that will sell. In fact, from here on out, if the Lord wills it and the creeks don't rise, we plan to alert patrons and other interested parties of new stock as it arrives. We will notify you by email, if you would like. Just send an email to bplfriendsbookstore@gmail.com and ask to be added to the list. We have bestsellers from Nora Roberts, Iris Johansen, Richard North Patterson, Mary Higgins Clark and Carol Higgins Clark, as well as Johnathan Kellerman, Fern Michaels, and others-- for just $2.00 a pop. Lots of history books--including a shelf of donated books about the Civil War. Lots of new biographies--both adult and juvenile non-fiction, as well as more childrens' books, including picture books, readers, non-fiction and juvenile fiction. We've gotten some interesting oldies, and some new dvds and vhs. So, come see us soon...and let your friends know about us. Also, please consider "liking" us on Facebook, as all of us love to be liked, and there we will post information about the Bookstore, as well as upcoming events. Thanks so much. The Friends are rolling like thunder and we really appreciate your support. Birmingham book editor and designer Liz Reed will outline steps in the process of getting your book into print. Discussion begins with To Print or To Publish? Wednesday, August 10, noon. Saved by the Bell. . . 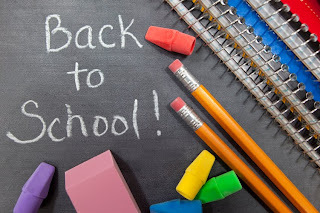 This August, The Business, Science, and Technology and Social Sciences Departments are ready for school to begin with two displays of books and DVDs for every age student, teacher, parent, administrator, or homeschooler. We have books on packing healthy lunches and preparing afternoon snacks. Did you forget how to use the Pythagorean theorem over the summer or cannot remember what the symbol Na stands for on the periodic table? The Business, Science, and Technology Department has math and science review books and study guides to get you prepared for class. 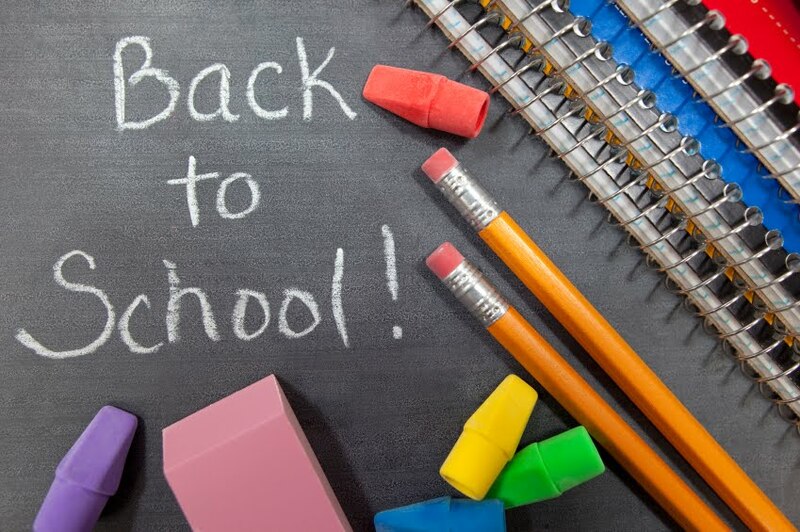 Maybe you are a student heading off to college or a parent of one, we have survival guides located in the Social Sciences Department to help make the transition even easier. Or maybe you want to reform schools? We have the much talked about Waiting for "Superman": How We Can Save America's Failing Schools ready for you to check out from the Social Sciences display. For more information, contact the Business, Science, and Technology Department at 205-226-3690 or the Social Sciences Department at 205-226-3640.